Imagine you are a high school athlete. You land awkwardly from a jump, instantly feeling a pop and excruciating pain. Minutes later, your knee looks like a basketball, and you can barely bend it without pain. The following day, your team doctor examines your knee. Yes, it’s bad news – torn ACL. Your season – football, soccer, basketball, or any other sport – is over. Inevitably a myriad of questions for the surgeon race through your mind (and your parents’). How long will you be out of sports? How quickly can you have surgery? 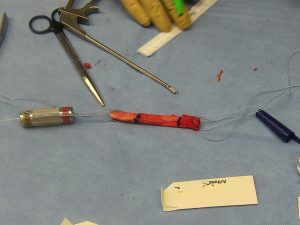 But one of the most important questions you should ask might be which graft options for an ACL reconstruction are best. The surgeon has prepared the middle third of the patellar tendon and the bony attachment on both ends to serve as the autograft for an ACL reconstruction. A new study in the June 2012 issue of The American Journal of Sports Medicine examines survivorship of autografts (using the patient’s patellar tendon or hamstring tendons) and allografts (using tissue from a donor) in ACL surgery. LTC Mark Pallis, DO et al studied cadets entering the United States Military Academy. They followed members of the classes of 2007-2013 who had undergone ACL reconstruction prior to matriculating. The findings are significant, in my opinion. 120 cadets who had undergone 122 ACL surgeries were followed during their time at the US Military Academy by the researchers. 20 ACL grafts failed (the cadet re-injured his or her ACL) at an average of 545 days after starting at the USMA. 10% of the females with a history of prior ACL surgery had a graft failure, 19% of males suffered a re-injury. There was no difference in failure rates or time to failure between the patellar tendon autografts and hamstring autografts. On the other hand, the failure rates were significantly different between autografts and allografts. Cadets who had an ACL reconstruction using an allograft prior to entering the USMA were 6.7 times more likely to suffer a recurrent ACL injury compared to those who had an autograft procedure. Even more remarkable were the one- and two-year findings. One year after entering the USMA, 33% of the cadets who had an allograft ACL before entering had experienced subsequent graft failure, compared with only 2% of those who had an autograft. At the 2-year follow-up point, more than half of those who entered the USMA with an allograft had experienced graft failure compared with only 6% of those who entered with an autograft. I present this study because I think that there is tremendous variability among the surgeons across the United States and the world about a number of ACL surgical choices, including graft selection. A number of factors can affect graft choice as well, such as the age of the patient, activity level, and whether the surgery will be a primary or revision ACL reconstruction. Allograft usage for ACL surgery has increased in recent years. For less active patients, they may be acceptable choices. This study generates significant concern in my mind about using them in young, active patients. Yes, the authors studied military cadets, but I would point out that cadets are essentially high-level athletes like we see in high school, college, and pro sports. 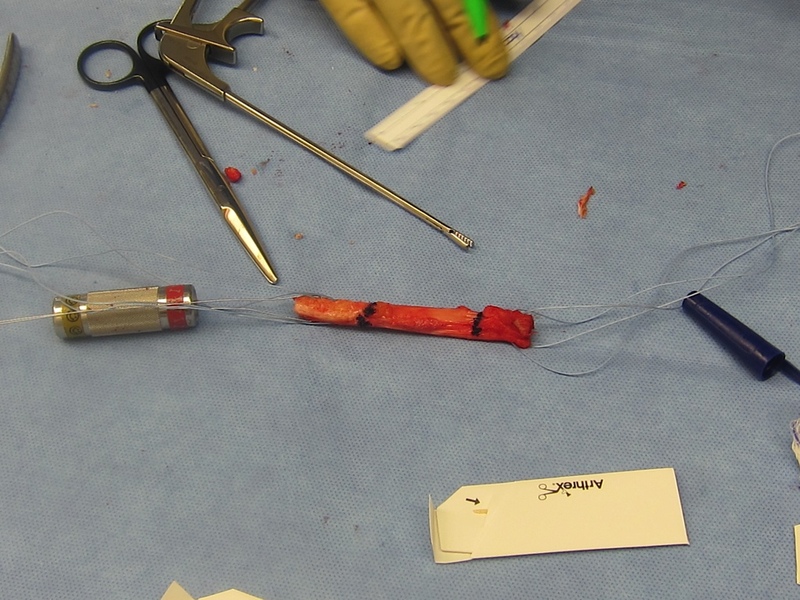 Choosing a graft for ACL surgery comes down to risks and benefits. Yes, there is donor site morbidity, like pain at the harvest site and early weakness from taking tissue from the patient’s knee. Allografts don’t have those harvest site problems, but they have increased costs and potentially slower graft incorporation times. This study appears to show that young athletes need to consider much higher failure rates if they choose to use an allograft. Discover The Solution To Your Biggest ACL Injury Challenge Even If You Have No Medical Knowledge and You’ve Looked Everywhere and Haven’t Been Able To Find an Answer! Episode 105: Do psychological factors affect return from ACL surgery?